With all eyes of the drag racing world focused solely on Brownsburg and Hendricks County, this year’s U.S. Nationals will offer even more than the usual eye-rattling excitement that comes with cars rocketing more than 300 mph down the drag strip later this week. We have three bonus activities away from Lucas Oil Raceway that all race fans won’t want to miss while they are here. 1. Lights, Camera, Action – A new movie based on one of the greatest rivalries in racing history not just drag racing history will open in theaters in 25 cities across the country Sept. 6. However, with the Chevrolet Performance U.S. Nationals in town, visitors in Hendricks County this week can see “Snake & Mongoo$e” in advance in between visits to Lucas Oil Raceway as it opens to the public here Friday at the Regal Shiloh Stadium 18, 10400 U.S. 36 in Avon. 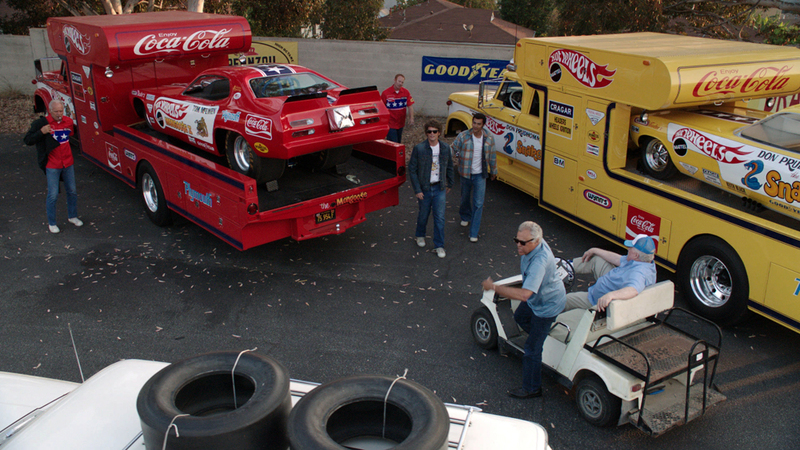 The theater will even host a special VIP, red carpet movie premiere on Thursday complete with race haulers used in the movie, appearances by a couple of the stars of the movie and by the two men the movie is based on Don “The Snake” Prudhomme and Tom “The Mongoose” McEwen. 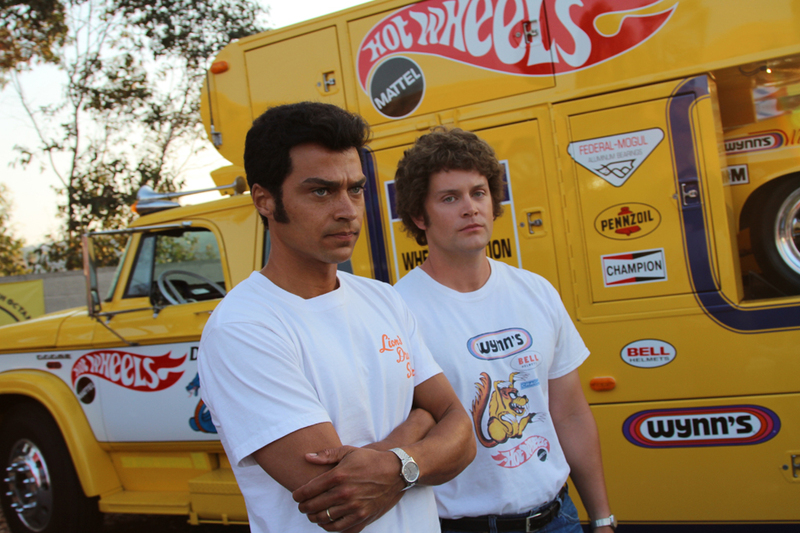 The film depicts their racing lives and how two unlikely figures revolutionized entertainment sports marketing when they attracted Mattel’s Hot Wheels Division to sponsor them. The film stars Jesse Williams (Grey’s Anatomy) portraying Prudhomme and Richard Blake (Dragonball: Evolution) as McEwen. Other actors in the film include Noah Wyle, Ian Ziering, Tim Blake Nelson, Fred Dryer, John Heard, Ashley Hinshaw and more. A couple of current NHRA drivers, Ron Capps and Alexis DeJoria, even have cameo appearances in the film, and plan to attend the premiere as well. 2. Fan Fest – Fans can get a taste of the excitement prior to the main event by attending the Chevrolet Performance U.S. Nationals Fan Fest at 11 a.m., Wednesday on Monument Circle in Downtown Indianapolis. The three-hour event will feature race cars on display, live music, a huge video board and plenty of giveaways. The Fan Fest also will feature an autograph session with many of the top professional drivers in the NHRA Mello Yello Drag Racing Series. A press conference with several big news announcements and the random lottery drawings for the No. 8 spots in the Traxxas Nitro Shootout will make it a memorable experience for every fan. 3. Behind the Scenes Access – Get a backstage pass to Don Schumacher Racing as the race team opens its headquarters and race shop to the public during the DSR Open House event from 10 a.m. to 3 p.m. Friday. 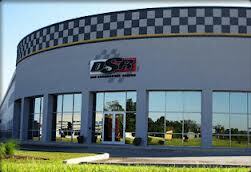 The shop is located just a few miles from Lucas Oil Raceway at 1681 E. Northfield Drive in Brownsburg. This annual open house event has become a staple of the U.S. Nationals weekend as fans get an insider look of DSR&apos;s racing headquarters and what it takes to pump out amazing, high-performance dragsters and drag racing championships. This free event will include a car and bike show, entertainment, giveaways, a monster truck and appearances by Don Schumacher and each of his seven professional drivers, including an autograph session. With so much to see and do both on and off the track this week and weekend, you have no reason not to visit Hendricks County this year, and if you need a place to stay, Visit Hendricks County can help you with that, too, by calling (800) 321-9666.